Uri chronicles the days leading up to and the execution of the Indian army’s surgical strike on Pakistani terrorist launch pads. It’s a film positioned as a representation of “New India”. New India won’t take threats lying down and refuses to be anyone’s punching bag anymore. The premise is ripe to be overwrought with jingoism and wallops of cheese. Thankfully, the film manages to mostly steer clear of both these threats. Uri starts with a bang with back to back set pieces that throw you right into the middle of the action. Despite excessive shaky cam, these are mostly finely choreographed and crisply executed. They even induce a tinge of suspense early on. The rest of the first half is spent slowly getting you acquainted with the characters. The protagonist is given a needlessly convoluted back story infused with family drama. This is done to lend emotional depth for when he springs into action in the second half. This seems wildly contrasting to the tone that start had established. The second half is where the film truly comes back to life, moving at a fast pace without a single dull moment culminating in a thrilling climax. This is a lean hour entirely focused to the planning and execution of the surgical strike. Despite some plot points seeming convenient, they’re enjoyable to watch. And the film succeeds at creating multiple suspenseful sequences during this period. Most of the shootouts are well staged and succeed in establishing characters and geography. They don’t just feel like a blur/haze of guns firing and bodies collapsing. While a few longer takes and less shaky cam would have further enhanced this, what we get is mostly solid. Despite being a mostly lean, raw and real feeling drama, there are moments when the film can’t help but occasionally submit to crowd-pleasing tactics. This can often take you out of the narrative. Sometimes, these moments succeed despite their obvious intent at rousing a reaction. 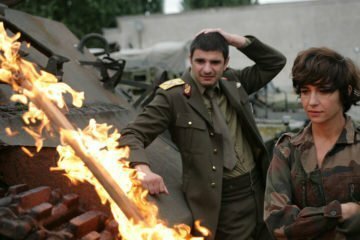 At other times they fall flat because they just seem to be so out of place with the tone and characters the film has so far worked hard to establish and maintain. 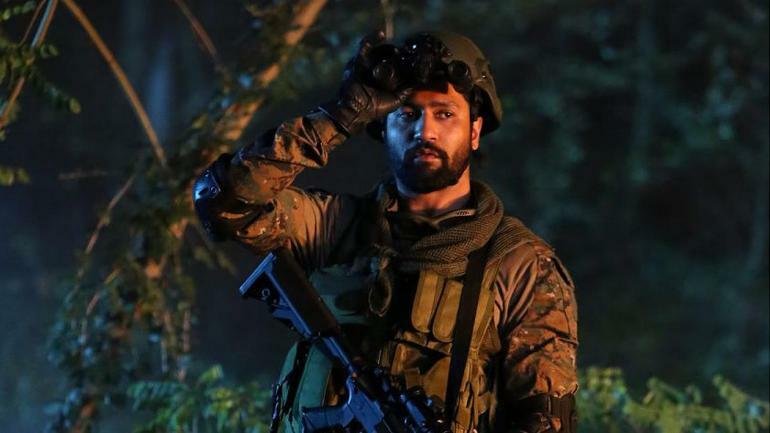 The film rests firmly on Vicky Kaushal’s broad shoulders who looks, walks and talks the part of a confident soldier who you’d blindly put your faith in. When he says he’ll bring back all his men with no casualties, you believe him. That’s the highest praise I can offer for his restrained and confident performance. There are plenty of supporting actors, with a few having their own overly emotional back stories. They all do fine with what they have but none leave an impression. Except for Paresh Rawal, who’s a delight to see back on the screen. I would have liked to see less of the needless backstories and more of the actual planning stages and military sequences. There is motivation enough established through the enemy’s actions to fuel our characters. The film did not need to spend excessive time on establishing personal family trees. However, one can’t have it all and there is a lot to admire and appreciate in this film. And despite its narrative choices that I didn’t always agree with, I was consistently engaged and there was never a dull moment. Overall, Uri is a fine step forward in the telling of modern Indian war stories.